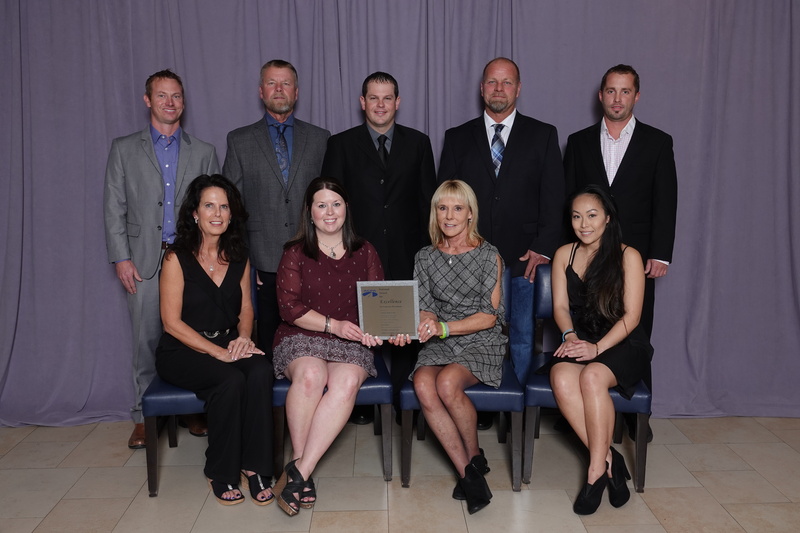 The South Dakota Chapter, ACPA is a non-profit organization representing the concrete paving industry in South Dakota. 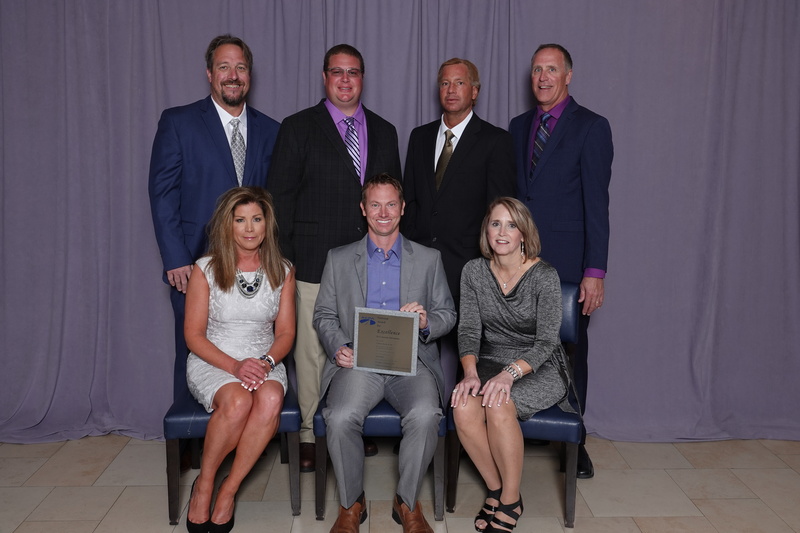 The Chapter is recognized by highway officials, engineers, contractors, and paving experts as the state voice for the concrete paving industry. Congratulations to our contractors BX Civil & Construction and T&R Contracting on their Gold awards for their 2017 concrete paving projects for the 6th Street/US14 project in Brookings and the Sioux Falls Airport project. Their hard work and excellence in concrete paving was celebrated at the 55th Annual Meeting of the American Concrete Pavement Association in Fort Lauderdale, FL on November 30. As our roadways continue to move towards more of a preservation mode versus new construction or full reconstruction, the concrete pavement industry continues to deliver new research and history on concrete overlays as a preservation method. A long term preservation method. Recently the National Concrete Pavement Technology Center at Iowa State University (CP Tech Center) along with the Iowa Department of Transportation and the Iowa Concrete Paving Association partnered to summarize 1,500 miles of roadway. These concrete overlays have up to 40 years of pavement life to show how overlays on existing pavements can perform to provide a long term preservation to our existing pavements. The entire document can be found here. In summary, the document shows that 93% of overlays ranging from ages of 0-37 years were an average to good rating in the International Roughness Index (IRI) and 89% were in good to excellent condition in the Pavement Condition Index (PCI). These facts and more valuable data can be found in a brief of the entire document on the most recent CP Road Map April 2018 publication. The MAP brief can be found here. I encourage you to read either document and consider a concrete overlay for the next pavement preservation project you have in your highway program. A long term preservation can save your agency a significant amount of money in the long term life of the pavement. 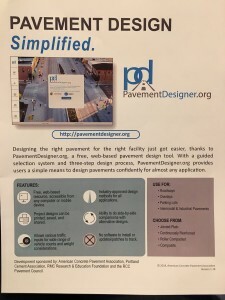 An exciting day in the industry today as PavementDesigner (https://pavementdesigner.org/) was released at the annual Transportation Research Board meetings in Washington D.C.
PavementDesigner is the newest web-based design software for concrete pavements and was created through sponsorships from the American Concrete Pavement Association, Portland Cement Association and National Ready Mixed Concrete Association. These parties felt it to be highly beneficial to the industry to bring a free, non-partisan program for designing our concrete pavements. 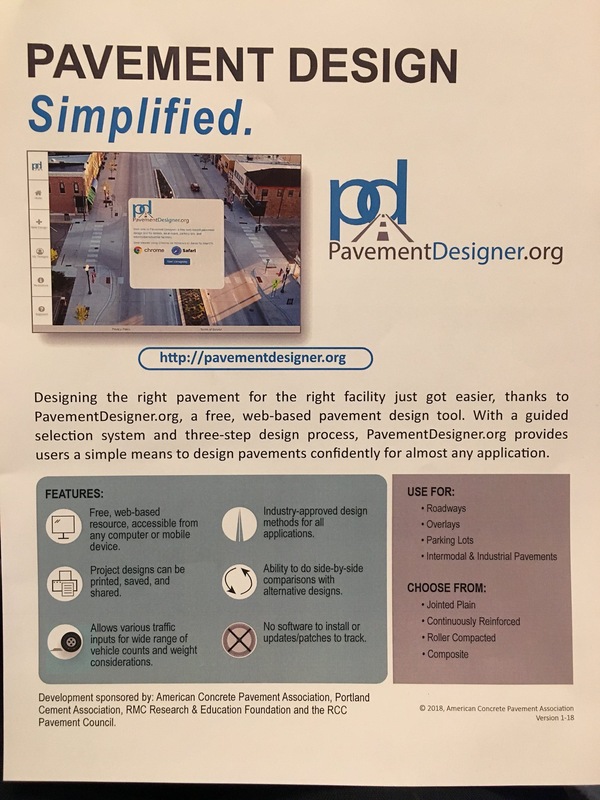 Please see below for further description of what PavementDesigner is about and its benefits. 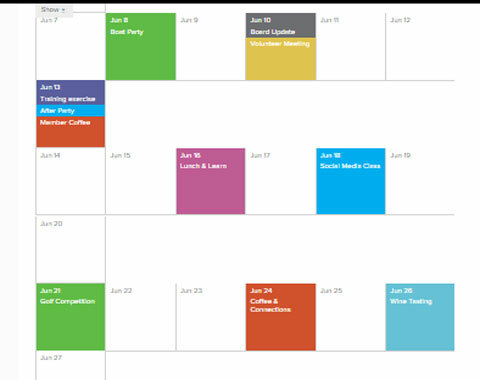 This is truly an exciting start to 2018 for the industry. We are a non-profit organization representing the concrete paving industry in South Dakota. Our membership includes contractors, materials suppliers, equipment manufacturers, and other firms providing essential services to the concrete paving industry. Our purpose is to improve and extend the use of Portland cement concrete in the construction of pavements and to assist the cement and concrete paving industries in technical, educational, and promotional aspects, ensuring continued successful use of the material with economy to serve the needs throughout South Dakota for pavement construction. Copyright © 2016-2020 South Dakota Chapter, ACPA. All rights reserved.